For thousands of years humans have coveted precious metals, gold most of all. We’ve adorned ourselves with it, given it as gifts, and traded with it. Gold has always had intrinsic value and has always been desirable as a hedge against economic uncertainty. Interested in investing in gold? Use the purchasing power of an IRA Advantage Self-Directed IRA to add gold to your retirement portfolio. With a Checkbook IRA investing in real investments such as gold or other precious metals is as easy as writing a check. Before you start purchasing gold for investment, read what five industry experts have to say about you need to know to invest in gold. Any kind of investing takes preparation to be successful, and investing in gold is no different. Before you make that purchase with your Self-Directed IRA start here with the basics. Learn about the different ways you might invest in gold. It’s not as straightforward as going to a bank and buying some bullion. USAWatchdog – How Do I Buy Gold and Silver? “… the essence of keeping one’s hard-earned wealth in precious metals is to own a physical asset that can weather any economic storm. When you put your wealth in ETFs, you simply become an unsecured creditor of a mega-bank that will happily gobble up your wealth if financial turmoil strikes. Gold is not the only precious metal available as an investment when you are considering purchasing precious metals with your Self-Directed IRA. This author notes that many investors are now favoring silver over gold. Investing in gold is more popular now than ever. Gold and other precious metals can be a solid part of your IRA. 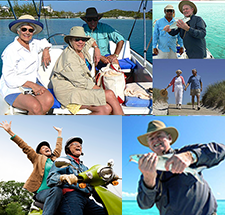 At IRA Advantage, we’re experts in self-directed IRAs and the myriad investments that can be part of them. Call 1.800.475.1031 today to get started. 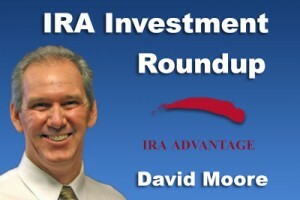 How Do You Know When You're Talking to IRA Experts? My husband and I have been considering buying and investing in gold for a while now. You mentioned that there are different ways to invest, could you elaborate on that? We will have to do some research to see where we can get started and where the best place to do it would be for where we live.